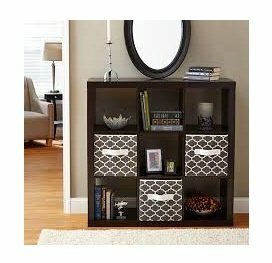 Get your home organized with this Better Homes and Gardens 9-Cube Organizer. Featuring multiple square openings, this versatile organizer will help you create the extra storage space you need. This Better Homes and Gardens bookcase will allow you additional storage opportunities and will create a space for you to display photos, books and special mementos.